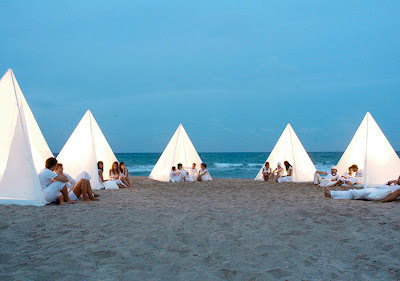 Gandia Blasco Tipi Wigwam covered outdoor cabana. 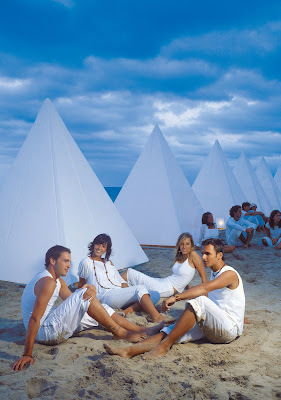 This covered outdoor tent was designed by Jose Gandia for Gandia Blasco in Valencia, Spain. The Tipi Wigwam cabana presents a unique way to create a little oasis of your own. This covered outdoor tent is perfect for the patio, garden, pool area, outdoor lounge or beach. Very nice and minimal, this beautiful outdoor garden cabana becomes a natural extension of the modern home. Its timeless good looks will compliment any outdoor space. The Gandia Blasco Tipi Wigwam cabana has a durable anodized aluminum frame. It has a total of 1 nautical yacht fabric canvas shade which provide shelter from the elements and some extra privacy. There is a front entrance. The Tipi Wigwam comes with 4 ground anchoring brackets that should be put on after the assembly is complete, to secure the complete structure to the ground. 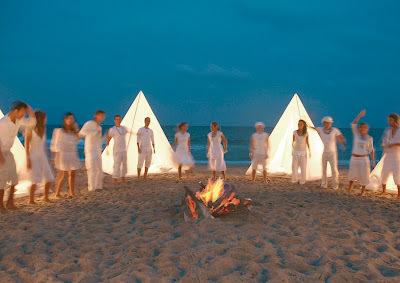 The Tipi Wigwam cover is a a durable nautical yacht fabric; a blend of vinyl, polyester and jacquard. It comes with a mattress (82" x 82") with completely removable nautical yacht fabric canvas cover for cleaning. 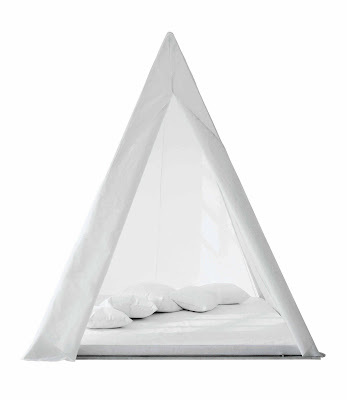 The Tipi includes six additional throw pillows (20" x 20"). Comfortably seats 4 people.